2019 ASV RT40 for sale in Athens, AL. 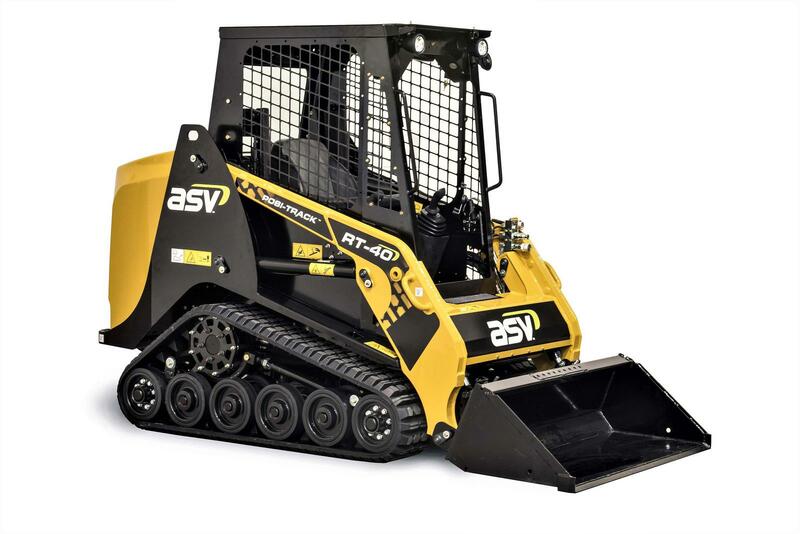 Haney Equipment Company Inc.
Power in a Small Package: ASV’s new RT-40 Posi-Track loader brings a new meaning to performance and power in a compact machine. As a sit-on machine with a compact width, the machine is ideal for landscaping, snow removal, or your next rental, and it packs incredible lift capacity and speed. 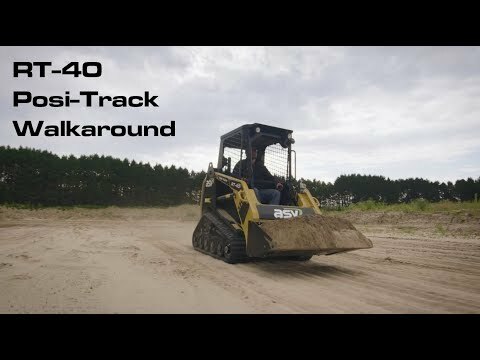 Along with the machine’s reliability, serviceability, and comfort, you’ll feel the difference sitting in the RT-40. Track type: General purpose track constructed of rubber compound with embedded co-polymer cords and all-purpose treads. Single row of track drive lugs molded in. Turf track with smooth tread available as an option. Track drive sprockets: Elevated with low friction, replaceable sprocket rollers. Undercarriage suspension: 2 independent torsion axles per undercarriage. Roller wheels: 12 high-density polyurethane and rubber wheels per track. Wheels include sealed bearings. Controls: Intermittent via joystick button or continuous via console switch, mode selectable via dash-mounted switch. Couplers: Push-to-connect quick couplers mounted on loader arm. Pressure relief valve mounted to coupler block. Cooling system: High efficiency oil cooler beside engine radiator, not stacked. Outlets: 2 -1 2 V ports inside operator station. Wiring: Pre-wired for all factory-available accessories. Seat: Adjustable contour vinyl suspension seat with built-in operator presence switch, lap bar and 2-inch | 51 mm wide seat belt. Loader control: Right-hand pilot hydraulic joystick controls loader lift, lower and tilt, plus intermittent control of auxiliary hydraulic. Drive control: Left-hand pilot hydraulic joystick controls machine speed and direction. Engine speed: Hand-operated rotary throttle. Parking brake: Actuated by dash-mounted switch. Multi-Functional Display/Indicator: Engine oil pressure, Hydraulic oil temperature, Engine coolant temperature, Battery voltage, Hourmeter, Fuel level, Tachometer, Tripmeter.